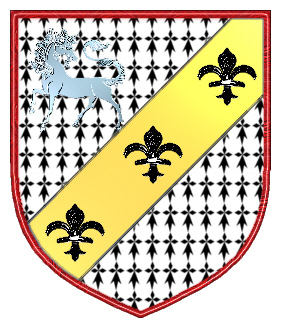 Coat of Arms: Ermine with a silver unicorn, over all a gold bend sinister with three black fleur de lis. Crest: A unicorn issuing from a crown, between red wings with gold stripes as in the arms. Spelling variations include: Rasmusson, Rasmus, Asmus, Eras, Rasem, Asam, Asum, Rassmann, Assmann, Raes, Raskin, Rasmussen, Asmussen, Asmusson, Erasmi, Erasmus, Ausmus, Assman and many more. First found in Hessen, where the name was closely identified in the early period of history with the feudal society which would become prominent throughout Europe. Some of the first settlers of this name or some of its variants were: Johann Ausmus, who settled in Illinois in 1800; Mathias Assman, who was naturalized in Detroit in 1844; Johann Assmann and his wife Anna Elis Nikodemus, who emigrated from Simmern, Hunsrueck to Brazil with their five children in 1846. 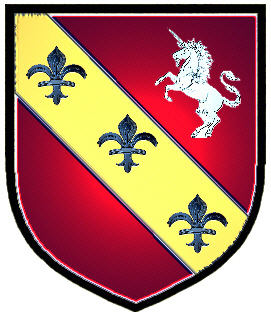 A red shield with a silver unicorn, and a gold bend with three fleurs de lis. The distinguished German surname Rasmusson is derived from the Greek term "erasmos," meaning "loved," and was initially used as a personal name. 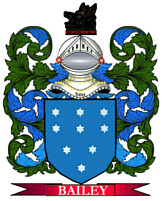 It was most likely originally borne as a surname by the son of someone named Rasmusson or a variation of it. RASMUSSEN. A mailing list for the discussion and sharing of information regarding the Rasmussen surname and variations in any place and at any time. To subscribe send "subscribe" to rasmussen-l-request@rootsweb.com (mail mode) or rasmussen-d-request@rootsweb.com (digest mode).